Do It Yourself And Save $$! Why spend $400 - $600 or more for a spray-on bed liner when you can do it yourself. 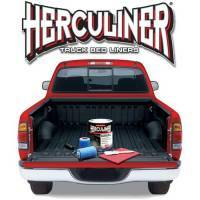 Herculiner truck bed coating protects your truck bed's finish from tools, equipment, rust, and moisture. Plus you get a great-looking protective layer that deadens sounds. HERCULINER is the only polyurethane and rubber granule coating that is applied to the bed surface using the rollers and brush included with the kit. 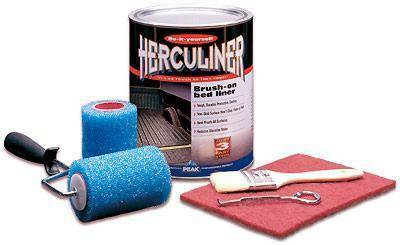 When cured, HERCULINER provides a durable skid-resistant protective coating. Because it can bond to virtually any surface or material, HERCULINER can be applied to wood, metal, concrete, aluminum, asphalt, rubber, fiberglass, and most plastics, including PVC. 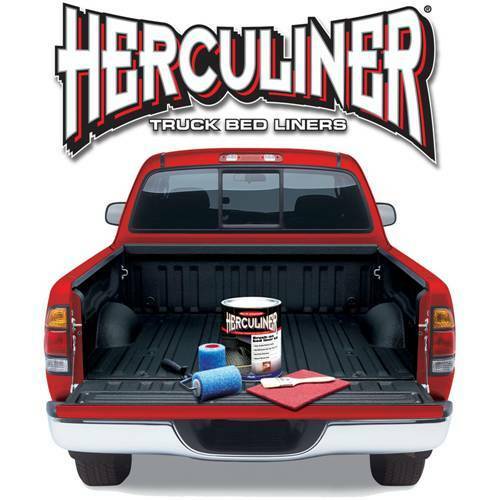 In addition to being used for a truck bed liner, our customers have found alternative uses for Herculiner around the home and garage: 4x4 tubs, undercoating, concrete steps, and trailers to name a few, have all been treated with Herculiner to make a durable skid-resistant surface. See the Herculiner F.A.Q. to answer all of your questions.